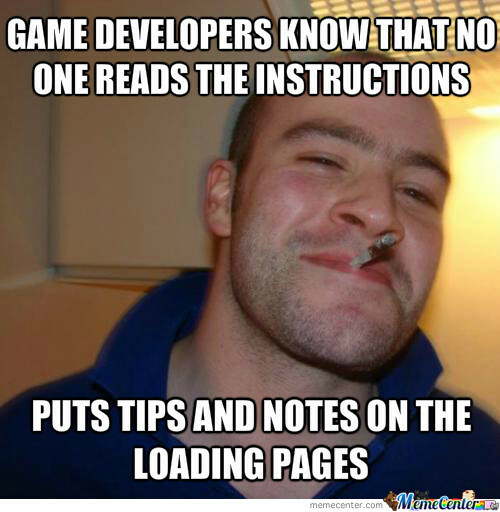 Game Developers Know That No One Reads The Instructions Puts Tips And Notes On The Loading Pages Developer Memes. I absolutely love the truth behind this meme! I am not sure why video game studios still include instruction pamphlets. No one reads them. Just throw up some tips and notes on the loading pages and BAM.